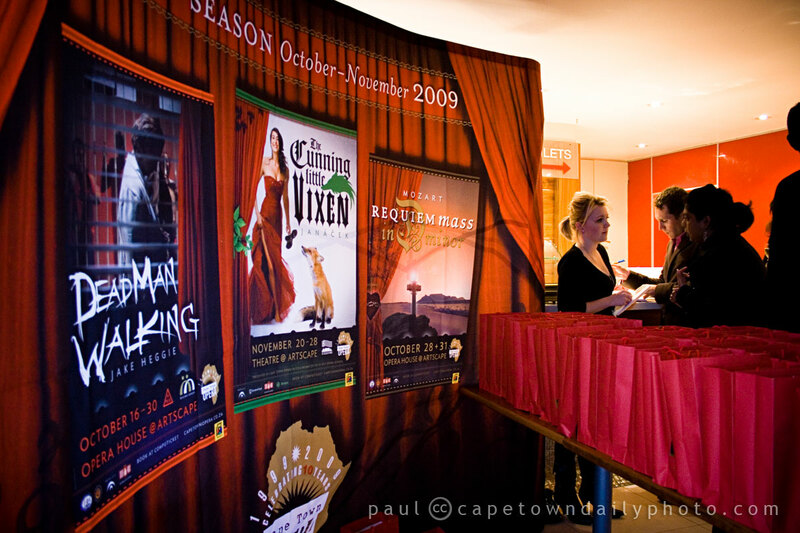 We were invited to the launch of Encore, an "opera appreciation club" created by Cape Town Opera to promote opera (and other performing arts) among 20- and 30-somethings. Don't you think that the posters for "Dead Man Walking", "Cunning Little Vixen", and "Requiem Mass" all look enticingly appealing? We spent the evening listening to several young, stylish and talented singers and musicians perform in a style that I'm not accustomed to, and while I'd have to admit that I'll never be a opera junkie, the performances were pretty darn good and definitely worth making a part of your "night on the town". Joining Encore is a matter of paying a R100 fee per year, which gives members access to several benefits - you can read about them right here. If you'd like to go out regularly, have the chance to dress up a little, enjoy some sophisticated entertainment, and perhaps meet other young people with similar interests, give it a try - I think it's certainly worth the R100. Posted in Activities and tagged art, concert, leisure, music on Wednesday, 7 October, 2009 by Paul.